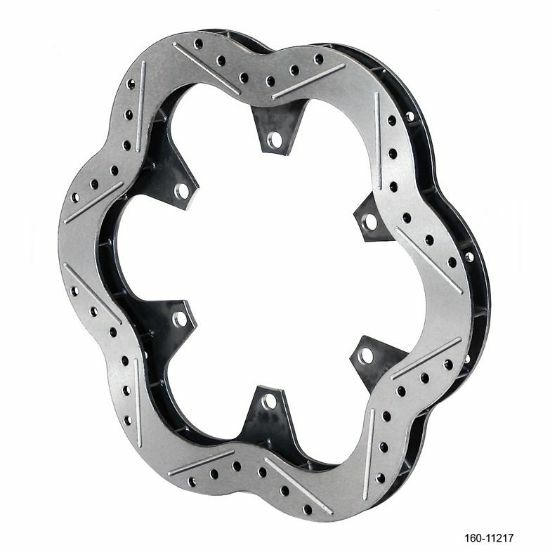 Super Alloy Steel 10.50” x .810” Vented Rotors are one of Sprint racing's lightest .810" rotor at a weight of only 3.20 pounds. 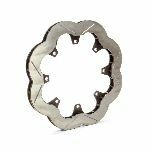 Wilwood’s proprietary Super Alloy Steel greatly enhances the durability and lifespan of this rotor over comparable lightweight steel or iron rotors. 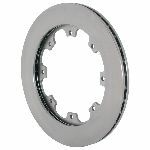 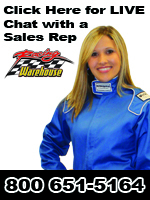 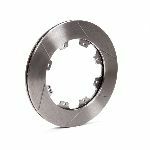 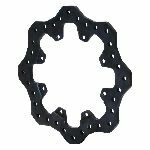 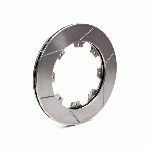 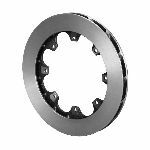 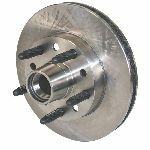 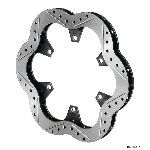 A Drilled, slotted, and scalloped design with 24 cooling vanes provides excellent high temperature stability, rapid heat dissipation, and consistent performance from the brake pads.